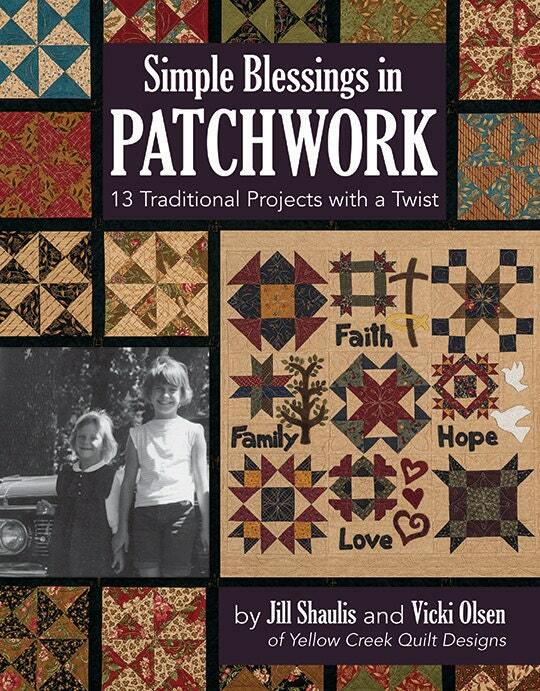 Quilt Pattern Book called Simple Blessings/ 13 Traditional Projects with a Twist, created by Jill SHaulis and Vicki Olsen. This is a brand new book! Just came in! 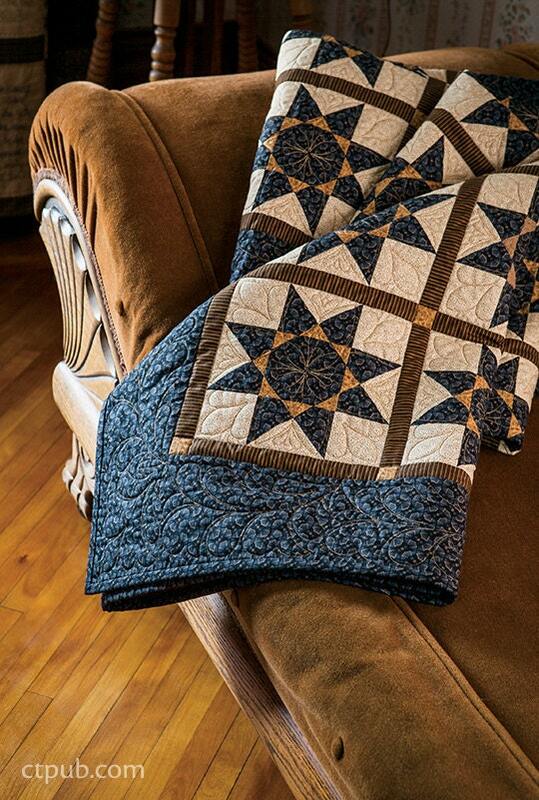 Spark your creativity with 13 warm, welcoming, Civil War–inspired quilts and projects from the sisters behind Yellow Creek Designs. 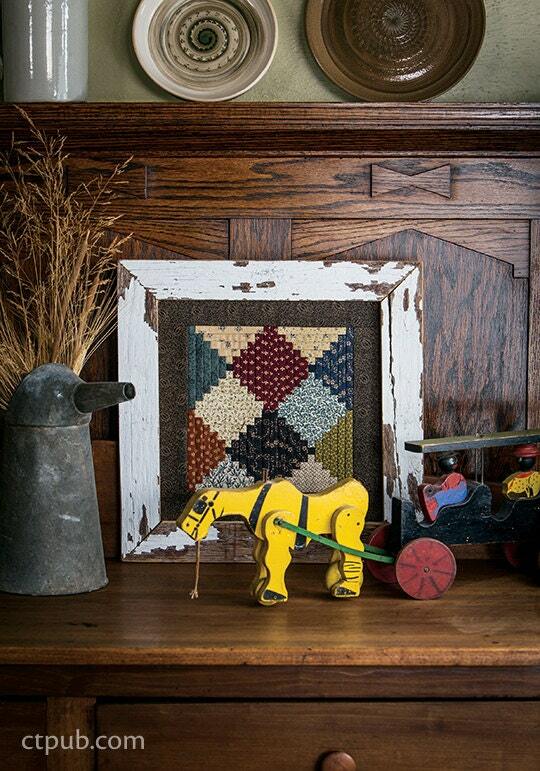 While they draw inspiration from the past, Jill Shaulis and Vicki Olsen can’t resist adding their own unique twist, whether adapting blocks into smaller projects or incorporating several elements at once! 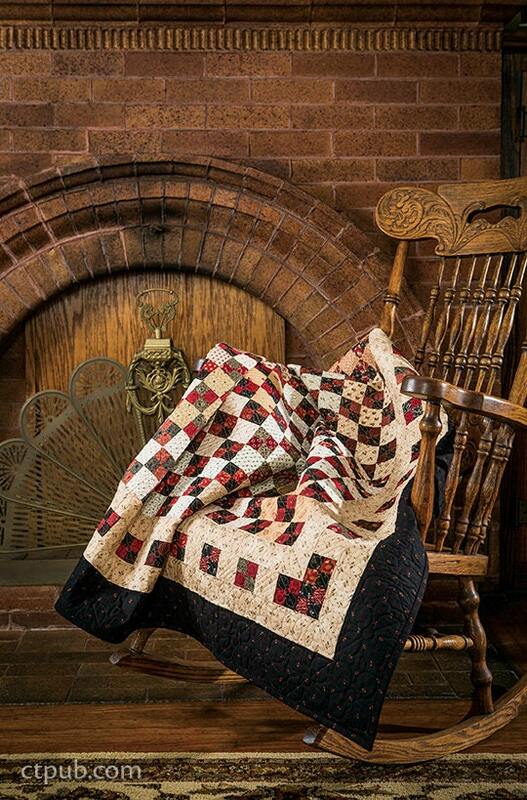 Explore many techniques, including foundation piecing, wool appliqué, hand-worked hexagons, and more, as you sew bed quilts, samplers, wallhangings, and table toppers and runners, all with a charming, primitive style. With so many projects there is something for everyone, no matter your taste or skill level! It is a new, unused paperback book that measures 8 1/2" x 11". There are 80 full-color pages. Cottage Threads accepts payment through PayPal and through Etsy Shop Payments using your preferred credit card. They are safe, secure and easy ways to pay on line. Items are shipped via US Postal Service. Ships 3-5 business days from receipt of payment. (Normally I process orders within 1-3 days but due to high volume of orders recently I prefer to have the 5 day window, should there be any delays). MULTIPLE (SEPARATE) ORDERS FROM THE SAME BUYER MAY NOT ALWAYS BE COMBINED. Etsy does not seem to have a way to let me know a buyer has place several orders... so, Please try to place your orders all together in one sale in order to save shipping. I will do my best to combine them when I can catch them but due to the very busy season upon us and a large number of orders coming in already... I can not promise I will see the various orders per single buyer. All Patterns & Books are non refundable. Other items may qualify for return but a request must be given within 5 days of receipt of item.